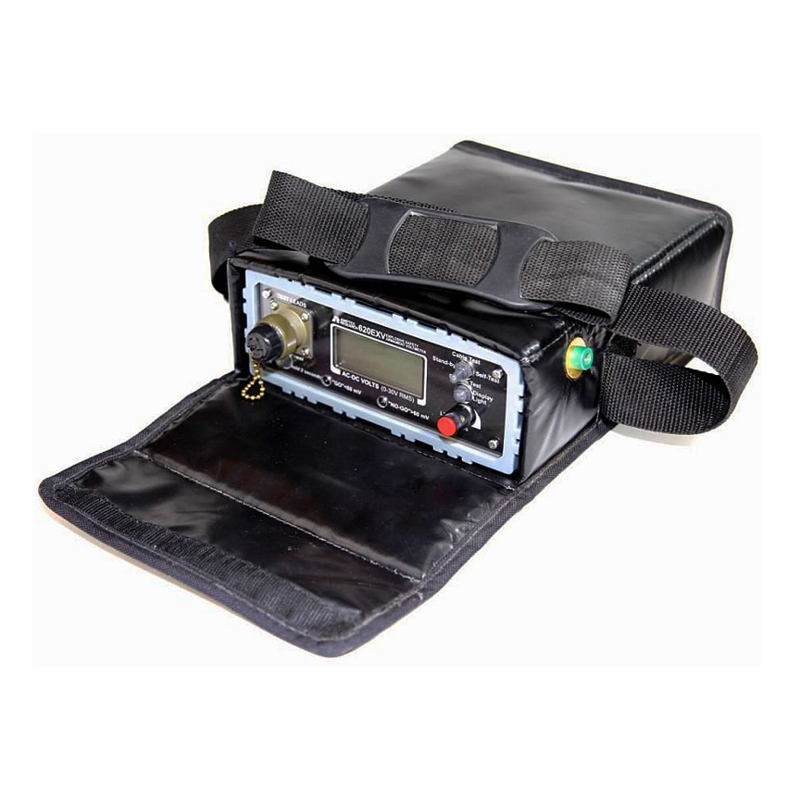 The 620EXV ARC Flash No Volts Meter is an ultra-safe portable digital voltmeter. 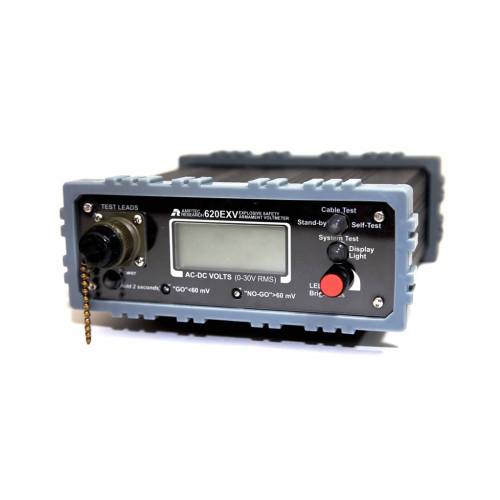 It can provide testing of voltage on firing and related system lines. The 620EXV is certified to meet USA MIL. STD. 810 MTD. 511, therefore compliant for use in explosive atmospheres. This product will accurately inform its operator using red and green lights (which can be set to custom levels) to indicate whether or not the voltage level conforms.